News :: EASA STC Now Available! - Aerospace Logic Inc.
Home News EASA STC Now Available! 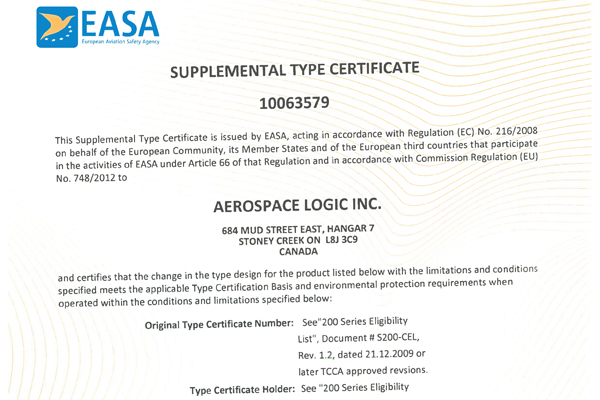 We are pleased to announce that we have received our EASA STC for ALL our 200 Series instruments. Effective 01-NOV-2017 all instruments will ship with the Canadian, EASA, and FAA STC's.